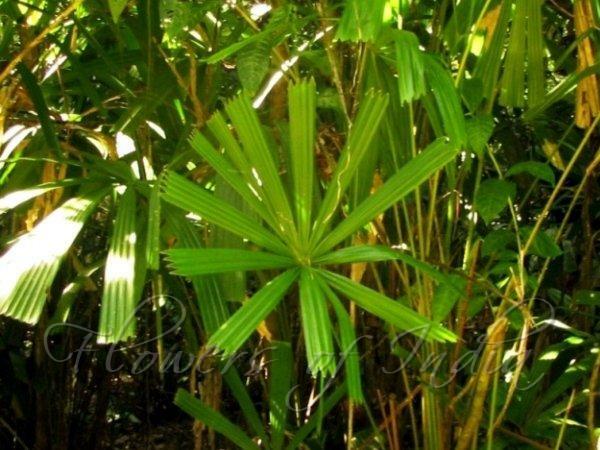 Mangrove Fan Palm is a wide spread fan palm, grows up to more than 15 feet in height. Trunks form multiple clumps, slim clustering ending as a dense bush. Leaves are circular in outline, with narrow lobes with squared-off ends. Flowers are borne in stalks arising from among the leaf bases. Fruit is bright red, the size of a marble (about 0.5 inch in diameter). Seed is small and round. 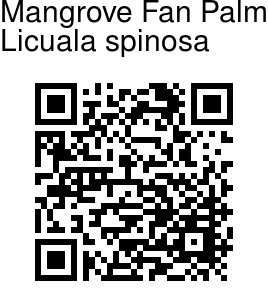 Mangrove Fan Palm is native to Indonesia, Myanmar, Thailand, and Andaman and Nicobar. Photographed at Baratang near Mud Volcano Site, Andaman & Nicobar.